Mauritius was discovered by the Portuguese sometime between 1507 to 1513. They took no interest in the islands which are now known as Reunion, Rodrigues and Mauritius. In 1598, the Dutch having run into bad weather found the island and entered what is now known as Grand Port. The island was used for a while as a stop point, for ships that had been at sea. No permanent settlements were formed until later and many used it as a chance to pick up the bark of the Ebony trees. This was found in plenty throughout Mauritius. The Dutch colonized the island in 1638 but due to much hardship like drought, cyclones, illnesses and a shortage of food were forced to abandon the island around 1710. The Dutch established a permanent settlement. Cornelius Gooyer became the first governor of Mauritius. More men were sent to reinforce the settlement and island and seek income. In 1715, the French came to the island and claimed it as their own, naming it 'Isle de France', But it was not until Mah� de La Bourdonnais that the island started developing in the right direction. In 1810, the British captured Mauritius after raids were carried out on them during Napoleonic wars. In an act of capitulation, the British kept many laws, customs and the language but changed many things including the abolition of slaves. Their rule lasted till 1968. 3 International Long Distance (ILD) operators, also offering Internet telephony services. Political status Multi-party parliamentary democracy. General elections held every 5 years. There are many deals from various activities around Mauritius. Many offer packages for groups and some will entertain bargaining. Although their deals and packages look fixed, looking around if time permits and making an offer will help save some money. 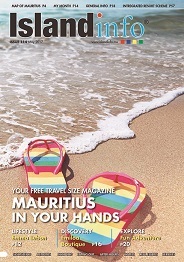 The number of flights entering Mauritius is increasing. People are quickly recognizing this place as a great holiday destination. Many packages are being offered and are choices vary from flights only to fully inclusive hotels. Prices can vary a lot depending on the time of year. With the highest hotel density in the world, Mauritius gives you plenty of choice. Some of the best hotels in the world can be found here. The alternative to this is bungalows and apartments. They can be cheaper and will offer more freedom but might lack immediate beach access. To get around Mauritius, taxis are used the most by tourists. Renting a car in Mauritius is a great alternative. It will give you the choice of wherever and whenever and may save you money. Driving is on the left like in the U.K. There are many banks and money exchange points in Mauritius. Cash points are found at many parts of the island, but may lack in many remote areas. The common banks are State Bank Of Mauritius, Mauritius Commercial Bank, HSBC and Barclays. Mauritius is most famous for Dodo's and its awesome beaches. The best beaches are found at the hotel, but a point to remember is that all beach area on the island is public. Although they may appear private, they are not, and this is also why you will get locals trying to sell their wares. Due to many influences from the world, you can feast on many varieties. If you love seafood, you are in for a treat. French, Chinese, Indian and local are only a few choices to be had.